How much home can I afford should be the first thing you consider when planning to start your home search. The first step to answering the question is to get a pre-approval from your bank or mortgage broker. Pre-approval for a mortgage is critical because nothing can happen until you are certain that you have the funds available to purchase a home. Verbal pre-qualifications are not enough…. we can tell you stories of buyers that have bought a home assuming they were good for the loan, only to find themselves in a legal mess when the bank didn’t approve them. It has never happened to any of our clients and we don’t want to see it happen to you. The second question we ask all buyers is what price range they are comfortable with because what you are pre-approved for and what you feel comfortable purchasing may be two different things. Keep in mind that along with a mortgage payment, you will also have to factor in taxes, utilities, and home maintenance, which you must include into your total budget. Also, don’t underestimate your lifestyle. We all have to live and you need to determine a realistic cost of your lifestyle and know this before deciding how much you would like to spend on a home. 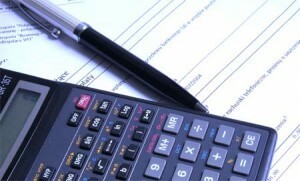 We can provide you worksheets to calculate these costs and help you through the process. By asking these 2 questions to you, we can get a sense about how ready you really are to start a home search, and is a good clue for you to know how ready you are as well. If you find yourself stalling on getting these items taken care of, you might want to take some time to consider how you truly feel and if you are really ready yet to buy a home. Apprehension and nervousness is normal for every buyer, but avoidance about completing necessary steps speaks of something more. If you are not sure where to begin, please give us a call and we can help you start the process.